Manny Rivas, public health manager at Royal Caribbean International, is celebrating 50 years with the company. Fifty years ago, Rivas, then 23 years old, went to sea as an assistant purser October 18, 1968, on a 300-passenger ship belonging to a company that eventually led to the formal start of Royal Caribbean Cruise Lines, according to a statement on the Royal Caribbean website. Rivas then held a variety of positions, including chief purser, hotel operations manager, environmental officer and more, and is now the company's long-time public health manager. “I’m still here. To be honest, retirement is kind of scary for me. I love to work with the ships.There’s a lot of people there I love to support, and I really enjoy what I do. This is the truth," Rivas said. 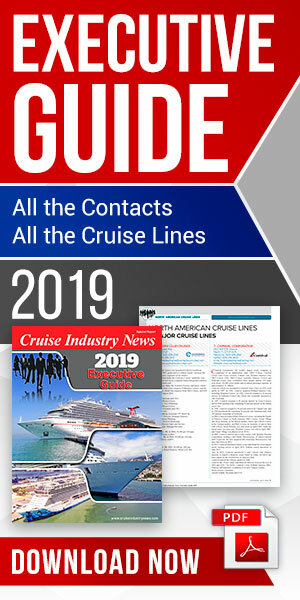 Rivas said that everything in the cruise industry is new. “When you think you have done everything, there’s something new coming all the time. And this is great," he noted. He added that the “the old days were very special,” and most years he gathers with cruise industry veterans to swap tales, including getting seasick his first week weeks aboard.